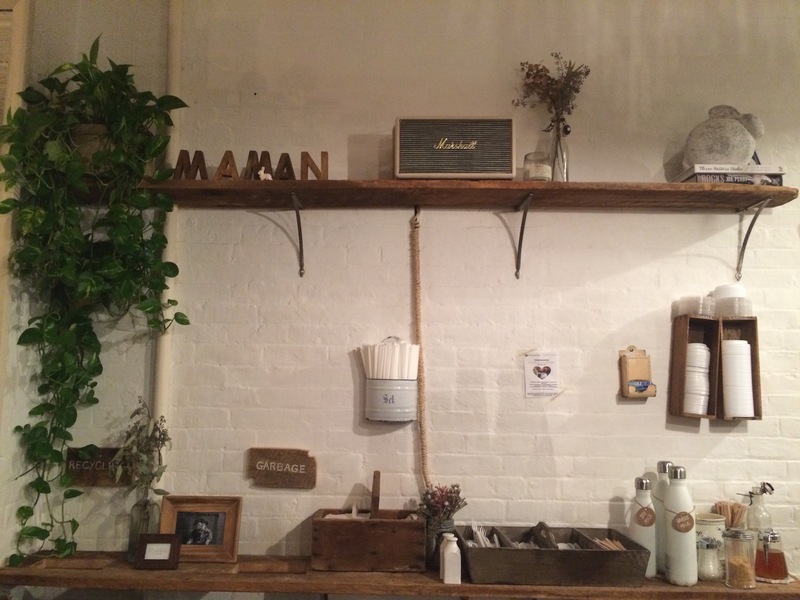 In the cool streets of Soho, you will find Maman, a cute little cafe that provides thirsty customers with coffee, tea or lemonade. If you are hungry, you will also have good luck here, because Maman serves tasty salats you can chose and mix on your own and different pastries. The place is beautifully decorated with plants, flowers, and twigs, arabic inspired tiles, and string lights that hang all over the ceiling under where people are enjoying the relaxed atmosphere at Maman. Plus! You get your coffee or tea in the cutest little to go cups with flower pattern on them. 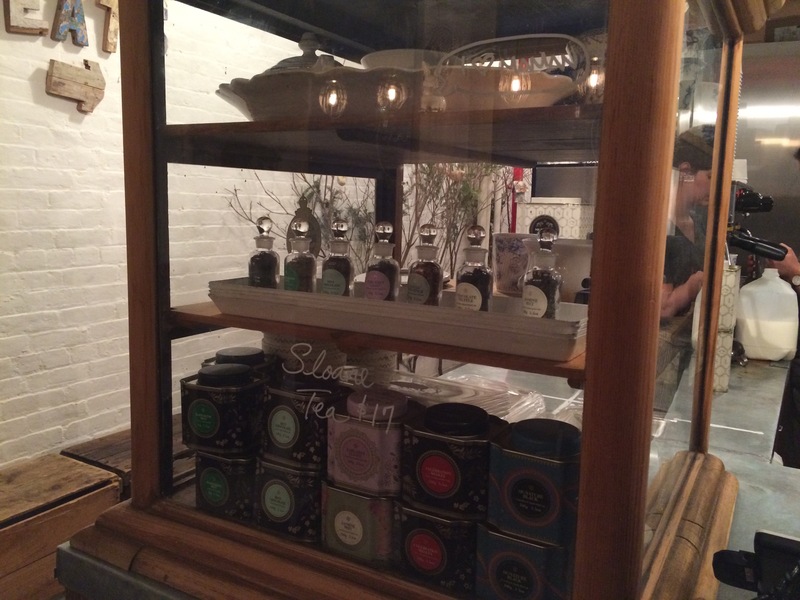 When you step inside at Buvette, you suddenly feel like you are in Paris and no longer in New York City. 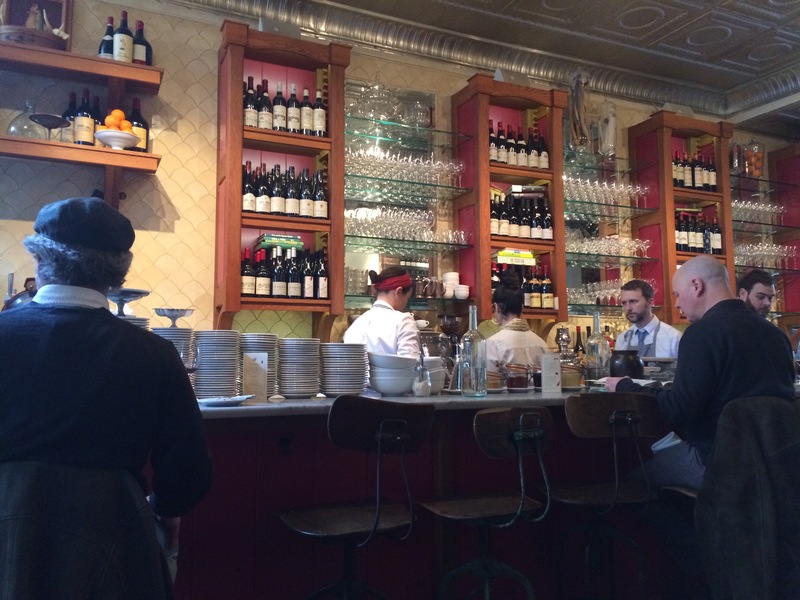 The place is intimate and unique and people sit packed here to try the French kitchen that Buvette offers. Everything here is completely thought of – the menus, the decor, the furniture, yes, even the staff wears French inspired outfits. 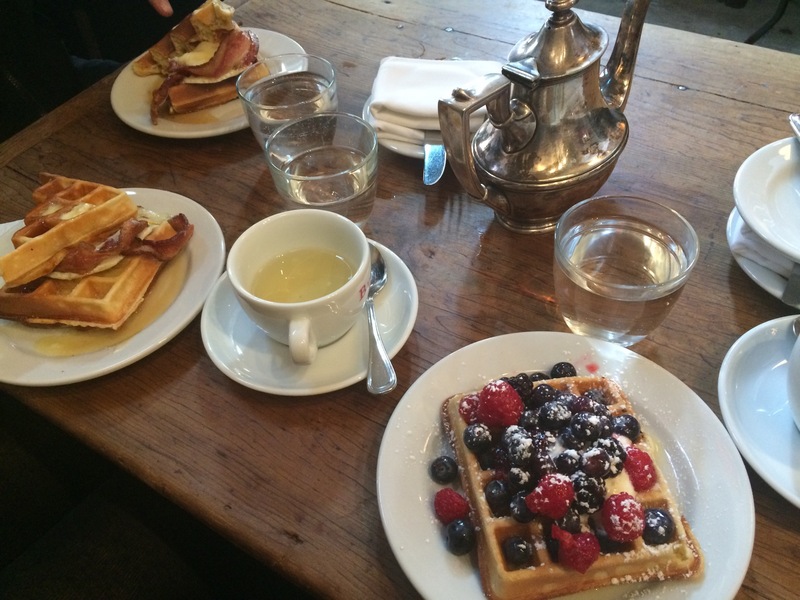 We came for brunch and had waffles and croque monsieur, but I heard that dinner and lunch here should also be great. 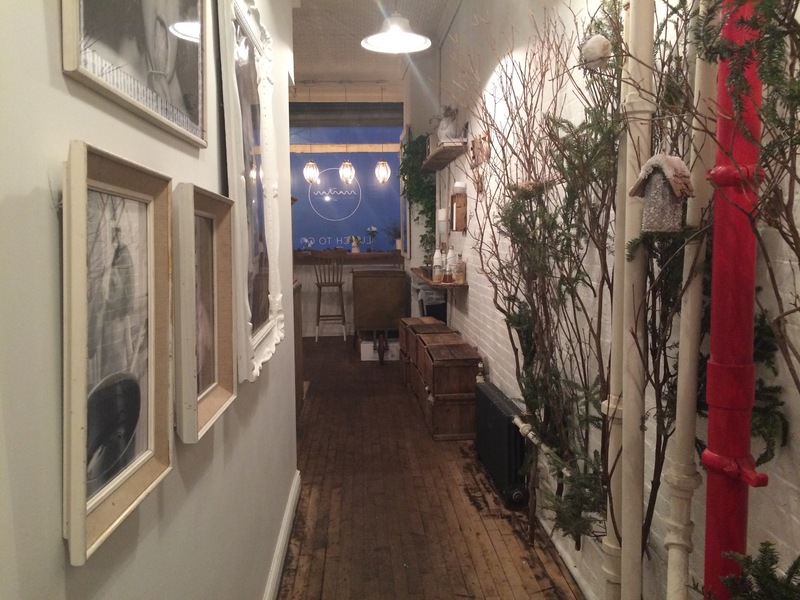 Buvette serves classic French dishes like fromage, tatar, confit, and coq au vin. 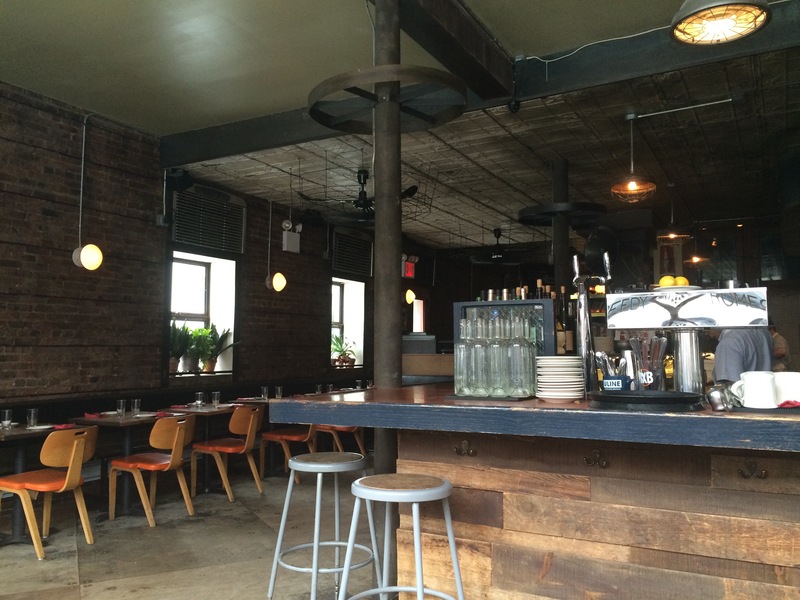 This popular New Yorker spot is an obvious choice to go eat at, if you are many people. The menu card ranges a wide assortment and lets you choose between options as a classic cheeseburger with tasty parmesan truffle fries (so good! – and you get a mountain of them), to a Vietnamese Banh Mi sandwich, or soups, sandwiches, and salads. 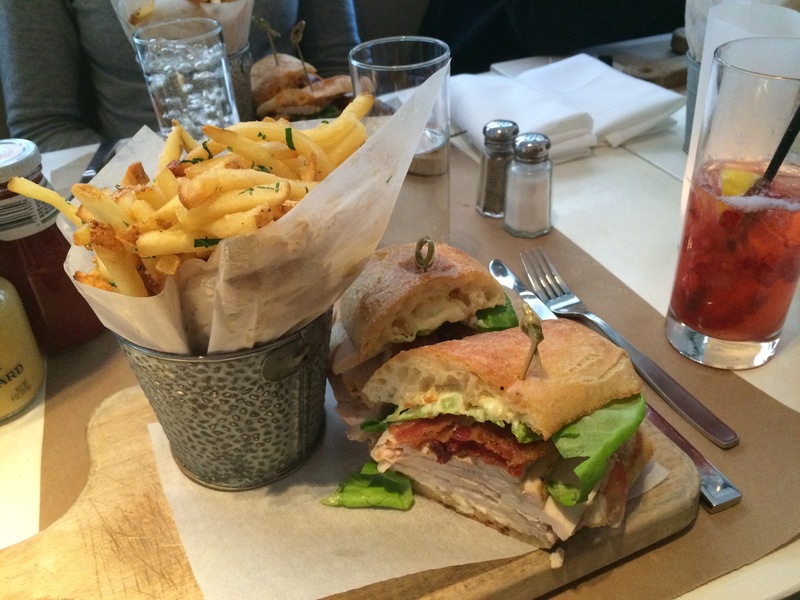 Located in Soho Delicatessen serves as the perfect shopping lunch break spot. Serving as the job of Hanna’s in the series “Girls”, Speedy Romeo is obviously a mandatory place to visit when in Brooklyn. I love the decoration with retro chairs, and open kitchen, and brick walls, and when it comes to mentioning the food here, I can just say “wow!”. 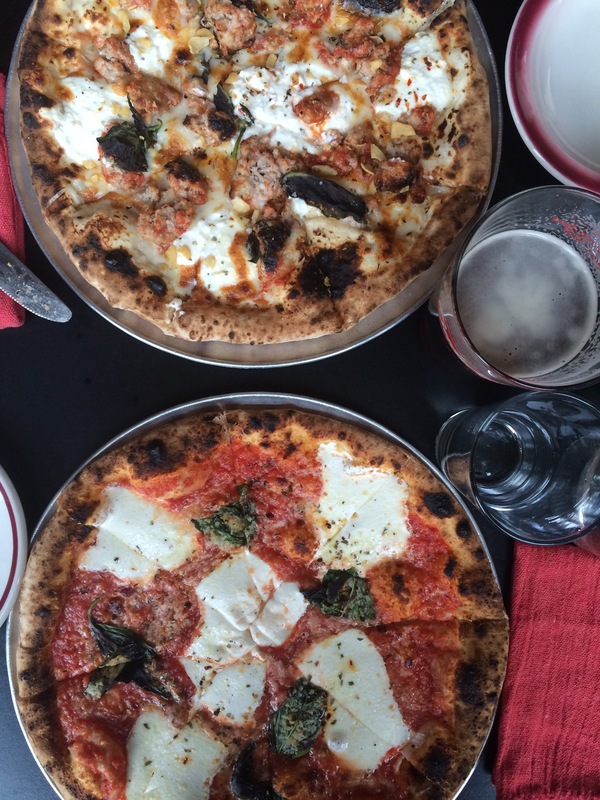 We had pizzas made in a wood oven and they were amazing. 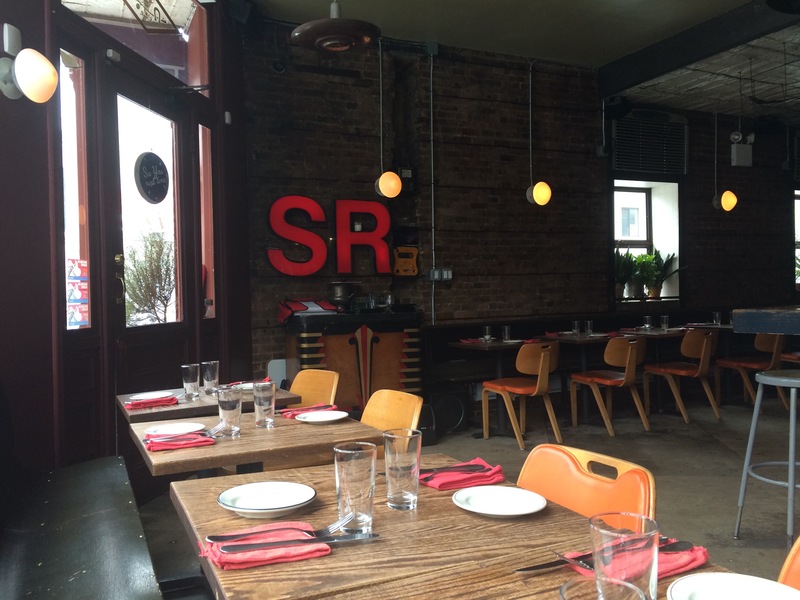 Besides from pizzas Speedy Romeo also serves meat, desserts, sandwiches, and brunch on weekends. іts good enough to make usse of a few of youг ideas!! you’ve put in penning this website. I am hoping tto view the same high-grade content from you in the future as well.